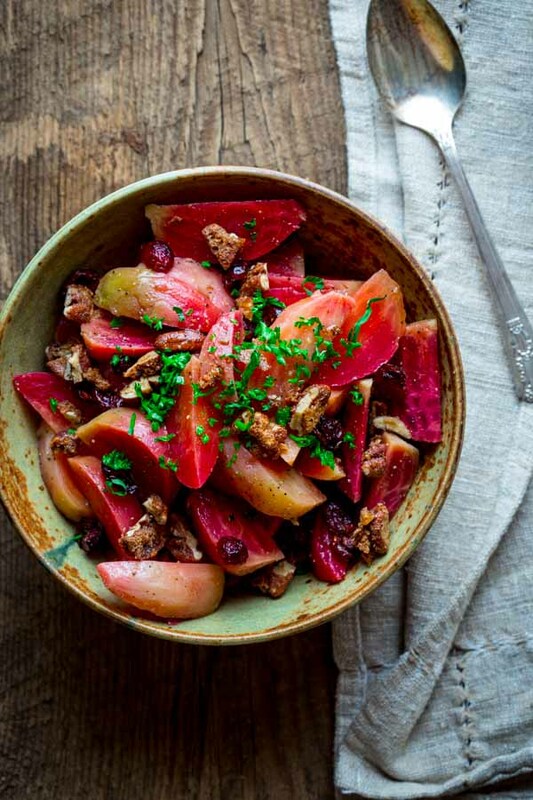 This recipe for Beets with Cranberries and Spiced Nuts is a party for your mouth! And it is super simple to make. It is naturally gluten-free and vegan. 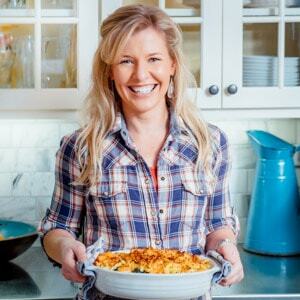 I have been totally geeking out over the results from the Healthy Seasonal Recipes reader survey. Thank you so much to those of you who filled it out. If you haven’t taken it yet, I’d love for you to take a second to help out. 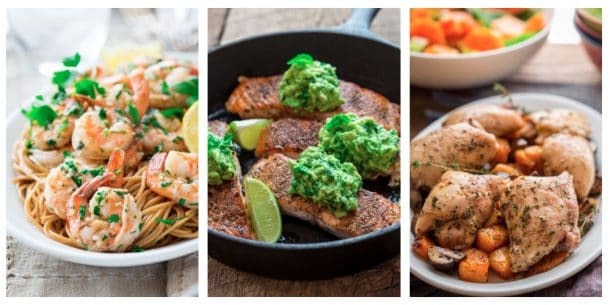 So far I have found that the majority of you all find healthy vegetable side dishes useful and would like to see more of them here on the blog. 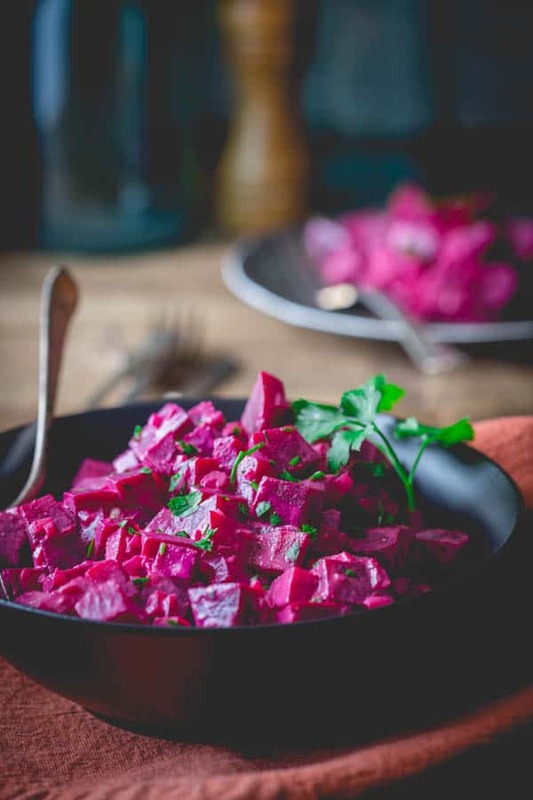 I thought today would be a great time to share this easy beet recipe since that would definitely fall into the category of easy vegetable side dish. It’s an older recipe (I came up with it in 2012 for Parents Magazine.) And I’ve made so many times since then. In fact, it is the main reason I keep raspberry vinegar in my pantry since that is the secret ingredient to make it so special with minimal effort. I feel a little guilty calling it a recipe. After you’ve made it once or twice, you’ll be able to do it without even looking at the recipe. I like to boil beets instead of roasting them in the oven. It takes about an hour to get them tender. To check to see if they are tender just poke them with a fork. If the fork goes in and easily pulls out, they are ready to drain. I used Chioggia beets since there were local ones available at the market. But really red beets or another variety of beets works great too. Or you could try a mix. Then just drizzle on the raspberry vinegar, olive oil, salt and pepper. 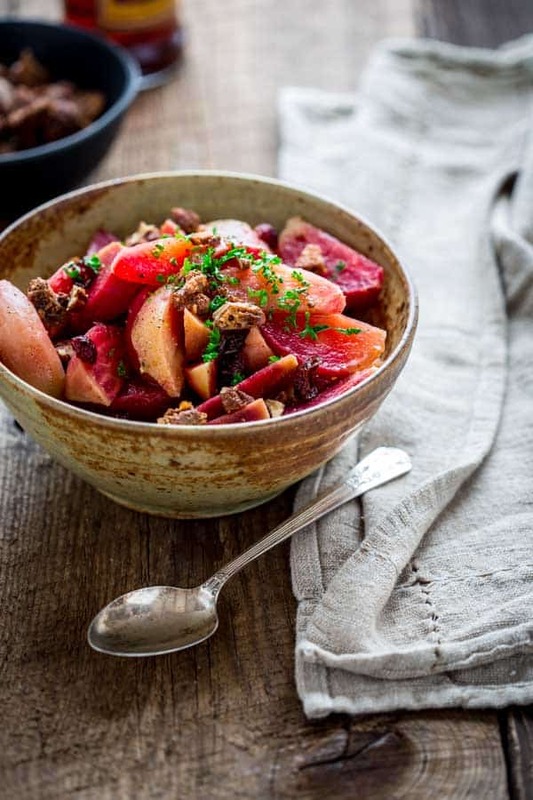 Top the beets with chopped spiced nuts and dried cranberries before serving. As it is it makes enough to bring to a pot-luck or serve a larger group. Oh, and the recipe can be cut in half too. If you don’t want to make your own spiced nuts, store bought ones work perfectly well. 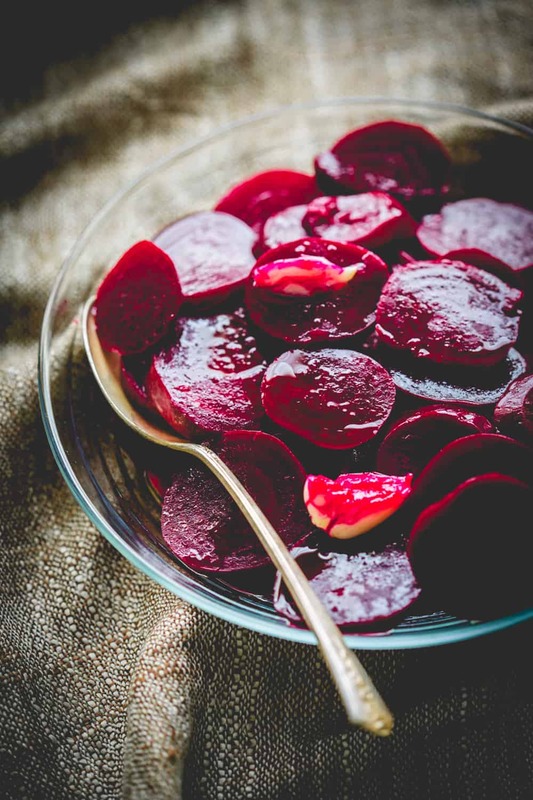 Do you prefer to boil your beets or roast them? 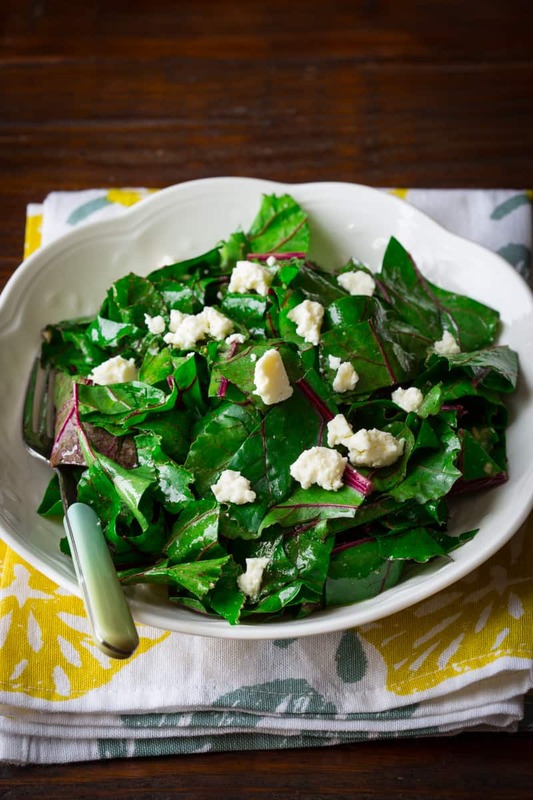 Did you grow beets in your garden last summer? Do you also like to have more easy vegetable side dish recipes? These beets with cranberries and spiced nuts are a party for your mouth. They are super simple to make, naturally gluten-free and vegan. Serve them cold, warm or hot. Place beets in a large pot and cover generously with cold water. 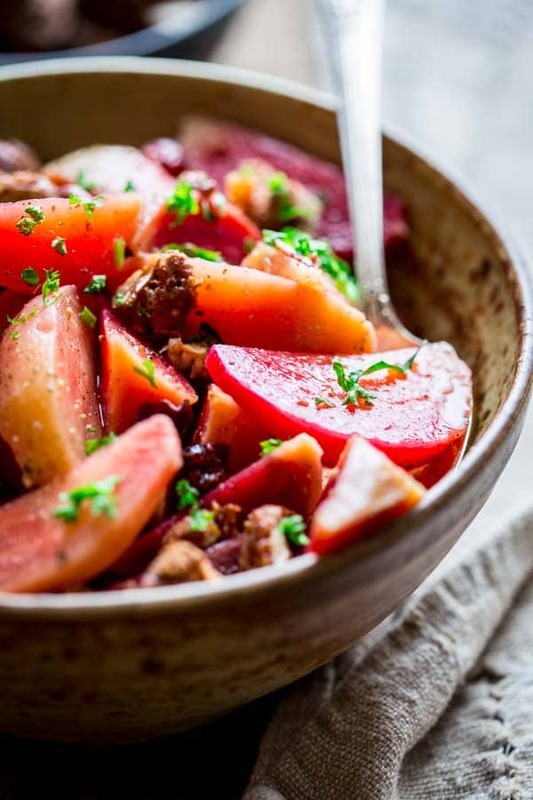 Place over high heat and bring to a boil, reduce heat to maintain a gentle simmer and cook, adding water if necessary to keep beets submerged, until the beets are tender when pierced with a fork, 1 hour to 1 hour 20 minutes, depending on size. Drain and allow the beets to cool until cool enough to handle. Rub skins off beets, cut into wedges and transfer to a large bowl. 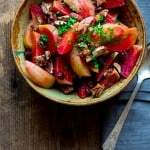 Toss beets with vinegar, oil, salt and pepper and transfer to serving bowl. Sprinkle cranberries, nuts and parsley over the top. That sounds like the perfect meal! 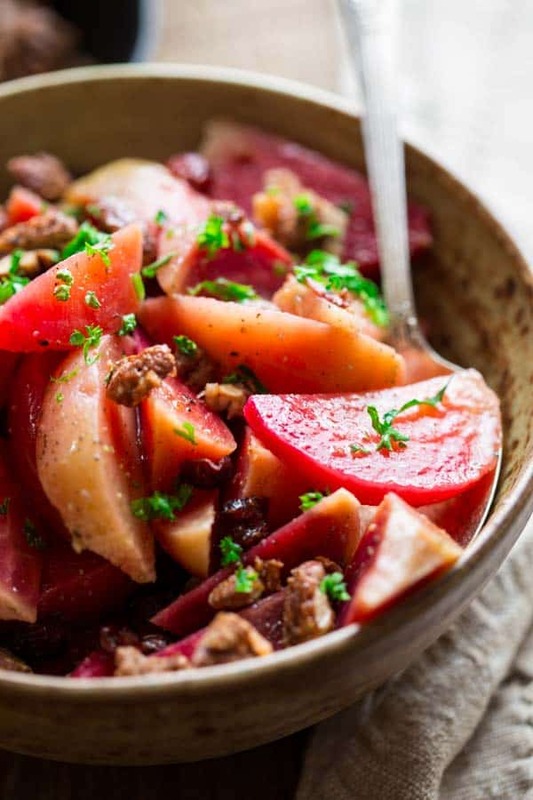 These beets look so amazing and those spiced nuts are the perfect addition. I can’t wait to try them! My husband didn’t like beets when we met. I’m so glad he changed his mind, because he loves them now. I do too! I crave them and I love the fact that they are so good with little effort. Beets truly are one of the most beautiful veggies! So true!! Thanks for visiting Rebecca. I love roasted beets! I love making them into hummus! I’ve heard about that but haven’t tried it myself. Great reminder. I love roasting golden beets and boiling red beets. Is that weird? I love that you paired the beets with cranberries and nuts. Need to try this soon! Um, a little, ha ha. But I am kind of weird too. 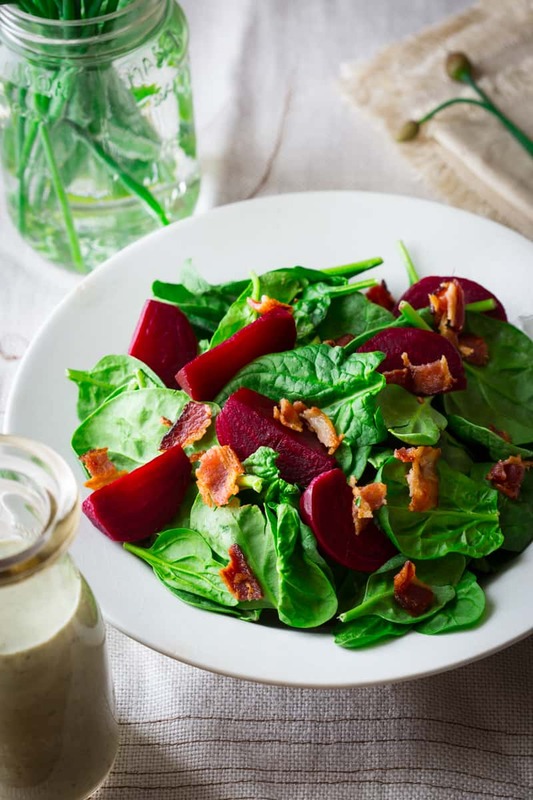 🙂 I avoid beet recipes when red beets are tossed with ingredients they they’ll stain. Must be the former food stylist in me, but I can’t stand it if they turn everything red. So I guess we’re in good company with each other. Awesome colour and wonderful flavour, Katie. I have never thought of combo of beets and cranberries, but I love it! Thank you so much Angie. It is a sweet and tart treat! Hope you enjoy it.